I caught this one tonight from Spencer Creek and 3 others about half its size. I looked all over to ID it and think its a Golden Shiner but not 100% sure. Im reading they grow to max 12" but this one was 13.5". What did I catch tonight? Years ago I caught one that was pushing 12 inches long in a farm pond near me, but I have never seen one with red fins. That looks more like this? None have been documented, but it could be another invasive species? Ohiofisherman thanks for the link and you nailed it. I caught a Roach. New species today!! oh man not another one of those.. I would probably show that picture to a C/O and get their take on it, if the gobies and zebra mussels can hitch a ride here on a boat there is probably no reason a roach couldn't? After looking at some golden shiner pictures on line I am seeing some that have reddish fins, a spawning color? It's a big one if it is? That also is a possibility, and it seems they are already here. They mention Lake Ontario and the St. Lawrence in this article. Years ago a few fellow Citiot buddies of mine caught a few similar, a few stringers full thinking they were Crappie. And I ruined a new knife trying to clean a few. I don't think that Roach (Rutilus rutilus) have been documented in Canada or the US. LOL, I was fishing at a pond near me one day and a guy stopped me to show me all the rainbow trout he had caught, I just didn't know if I could keep from laughing if I had told him they were sunfish. Got back to the dock one evening with my buddy and some other guys staying there stopped us to show off the big bass they had caught ... er it was a bowfin. LOL, can we eat it? oh sure! 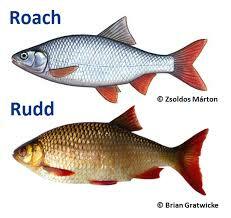 I used to catch roach all the time in England and France, hard to tell the difference between a roach and a rudd, roach tended to be smaller and more silver, but a big roach can look very much like the one you are holding, but i'd say if rudd are already in that waterbody thats what you got there. Dead or live roach are a favourite pike bait in Europe. Nice link Jon, all the golden shiners I have seen look like the fish on the right. being a northern Manitoba Boy when i first started fishing more seriously in Ontario, i remember the first time i caught a bowfin and I was confused as hell...same as when i caught a trophy white bass. I had no idea what the the hell they were. Unfortunately I didnt even bother to snap a photo of the white bass, i figured it was just a common spieces that I was unaware of. turns out they are somewhat difficult to catch unless you really know what you are doing, and further more the one I caught was an absolute giant...like Ontario record caliber for sure. We were at PAB one year like 50 years ago and my brother and dad had been fishing in a different boat and he showed me a golden shiner he had caught around the hole in the wall? It was about 10 inches long, never saw another one there, even in the bait stores. There are bowfin here, but I have never seen or caught one here, the ones we got at PAB seemed to average around 5-6 pounds, one of my buddies got one in Brignall's that had to be pushing 20 pounds. He had caught a 31 in walleye like the day before and we thought he had a real monster hooked, LOL, it was a monster ! White bass used to be easy to catch in Lake Erie here, any lights by the water at night with small lures. weve only ever caught two bowfin, both times while deadsticking minnows. 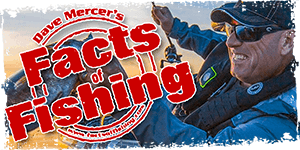 I wasn't opposed to using live bait, especially in my younger years, caught them on minnows and perch up there. LOL, come up to take a look? Great memories posted here and thats what its all about. Hopefully my biggest Rudd turns into my biggest cat.